Celebrity CEOs: Are They Worth It? Some analysts are asking if Apple has seen better days. The Apple stock price looks down 33% since July 20, 2015. 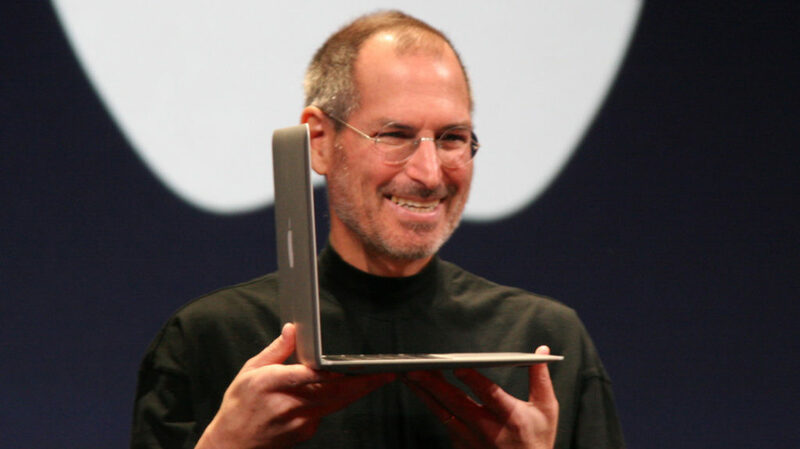 I do not want to seem insensitive, as the world lost a tremendous business mind and talent and person in Steven Jobs with his passing in 2011, but the question of this article: “Are celebrity CEOs to be brought in among your people or does this create a slippery slope to be avoided? Should leadership and innovation get widely distributed in your firm or should we seek the single brilliant mind and visible “rainmaker”? These seem like important questions. Apple hired the dean of the Yale business school at the end of 2008 to get the secret sauce of Steven Jobs’ mind into the DNA of all of the people of Apple when it was known that Mr. Jobs developed terminal cancer. We need to distinguish several things in this article. Celebrity status, both good and bad, innate smarts and charisma. The definition of a celebrity is “a famous person, VIP, personality, newsmaker, household name, star, or superstar”. Richard Branson of Virgin comes to mind. So too does Michael Dell of Dell Computers, Elon Musk of Tesla, Jeff Bezos of Amazon and Mark Zuckerberg of Facebook. The value of a celebrity CEO seems obvious: instant recognition of their firm’s name and brand. Think of the leverage to marketing dollars spent. But celebrity CEOs can also turn out to be scoundrels, crooks or at least dilemmas. 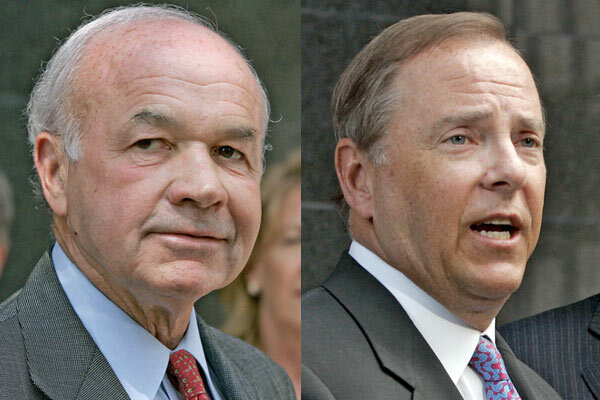 Kenneth Lay and Jeffrey Skilling of Enron, Bernie Ebbers of World Com and Dennis Kozlowski of Tyco broke the law. Al Dunlap of Sunbeam did not break the law, but he developed a reputation as a ruthless turnaround artist at Sunbeam. For increases in company success and firm valuation, we want to use the “good” part of the definition of celebrity to our advantage. True stars, not the hyped versions, usually have a rare set of traits, capabilities and smarts: foresight to sense new business opportunities before most others, the ability to motivate and inspire the firm’s people to achieve to unprecedented heights and the ability to touch the lives of many people in and outside of the firm in their personal lives. They are also known to have relentless focus, drive and execution. Are these people born to be stars or superstars or are they developed by a series of intentional actions and lucky circumstances? Steven Jobs was so valuable to Apple that its board of directors took out a life insurance policy for him way before the thought of cancer. And we want to also delve into the difference between charisma and celebrity. The definition of charisma is “compelling attractiveness or charm that can inspire devotion in others”. Celebrity CEOs do not have to be charismatic, although they often go hand in hand. I think most people would say Jeff Bezos is a star, celebrity CEO but not necessarily charismatic. What then distinguishes celebrity CEOs from other successful but non-celebrity CEOs? Intelligence is a given for both celebrity and non-celebrity successful CEOs. In addition, the field of cognitive psychology can assist this analysis and is about the mental processes that affect behavior. These mental processes are key: attention span, memory, perception, the skilled use of language and something called meta-cognition which is the ability to think about one’s own thoughts for productive use. Celebrities as stars possess heightened levels of intelligence and all of the key mental processes, and so do non-celebrity successful CEOs. The difference is ineffable qualities. Ineffable means “too great or extreme to be expressed or described in words”. In my view, previously being hugely successful with the promise of continued high performance and having some level of charisma cause these ineffable qualities. But what are the risks to a business by having a star/celebrity CEO. Answer: the organization can become dependent on this person for many things and forego its need to have innovation and leadership disciplines more widely spread throughout the firm. What happens when this person leaves the firm for any reason? So what should a firm do about this? On the surface, we all would like to have a celebrity CEO for the apparent reasons. But my take on this after almost 35 years in the field is if you or one of your people emerges into celebrity status, embrace it and use it for its good aspects. But do not try to bring this about by hiring a known celebrity into your firm or by a campaign to develop someone in your firm be seen as a celebrity. It is far better for the CEO to avoid celebrity status for him or her or anyone else in the firm and spread innovation and leadership skills throughout your firm. 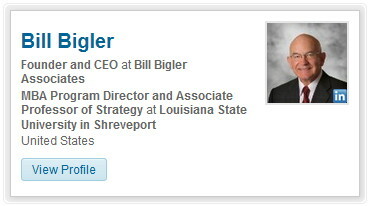 Bill Bigler is founder and CEO of Bill Bigler Associates and can be reached at bill@billbigler.com or www.billbigler.com. ← Vision, Mission, Values: Overrated?